© 2018 Some right is reserved. Developed with ♥ by Pahlevi. Experienced Android Engineer with a demonstrated history of working in the program development industry from 2013 and still continues. Strong engineering professional with a Bachelor of Engineering (BE) focused in Informatics Engineering from Gunadarma University. Skilled in Web Development and Mobile Development mostly in Android using Java or Kotlin. Dedicated to continuously develop, implement, and adopt new technologies to maximize development efficiency and produce innovative solution. Farhan have a big dream with his ability to help many people with a user friendly application for everyone and make big social impact to Indonesia. In September 2017 Farhan become Google Certified Associate Android Developer by scholarship from Udacity and join Midtrans (GO-JEK Group) in June 2018. Designed and Developed core feature for Android Application from scrath, start from translating Conceptual UI and integrating 3rd Party SDK or back-end API into Best Quality of Android Code. Deployed application and identify bugs, user experience issues, and functionality problems for maintaining the application. Make a prototype and developed Best Quality of native Swift code when translating the user interface. Keep and use the Apple's conventional rule when developing the application with XCode. Deployed application and identify bugs, user experience issues, and functionality problems for maintaining the application. Build best first impression for user when visiting the site with quality of front-end development and supported with best back-end development from powerfull backend framework. Deployed application and identify bugs, user experience issues, and functionality problems for maintaining the application. Design powerfull layout from scratch. Making the idea dream come true. Build the best brand suitable for user. Great app publishing and keep maintainable. Ramadhan 1439H Side-Project, build in native iOS with Swift. Android App for BNI46 used for give task to kids. Parent version of BKids BNI46 used for give task to kids. Doctor version of E-Dokterku Android Application. Sekampus is mobile application used for find your needs near your campus build for Telkom Digital AMOEBA Startup. Wifi.id GO is PT Telekomunikasi Indonesia's product for use wifi.id hotspot. The development continued by me from previous developer. New Permata is PT Telekomunikasi Indonesia's product for descriptionNew Permata is apps for making conference call with normal phone line. Expose Concrete is bussines website developed with CodeIgniter and Bootstrap framework. TMDB Movie is Android based app that implementing Machine Learning with Deep Learning Algorithm in app’s backend. Bogor Tourism is Location Based Service application that use for browse Historical place, Culinary Place, or anything else in Bogor. E-Chat is Android apps used firebase technology and implementing end-to-end encryption. Wifi Tester & Monitor (also known as Wifi TeMon) is PT Telekomunikasi Indonesia's product used for automatic test in "Flashzone-Seamless" access point. Ojekita is a motorcycle taxi in Cirebon city with 3 main service, "Kita Jemput" with motorcycle taxi, "Mobil Kita" with normal car taxi, and "Kita Antar" with delivery food service. KMI Katering is native Android application for ordering food in RSPP (Rumah Sakit Pusat Pertamina). AA Londri is shuttle laundry service based on Android device. Parking Yuk! is an Android Based application used to find location of parking around the station, bus stops and other public places. Parkir Yuk! is created for encourage Depok's citizen to increase use of public transport and park their vehicles at the parking locations. This application can be used to remember the location of a vehicle parked in a wide parking lot. This application can also check the motor vehicle tax (PKB) which is connected directly to the website SAMSAT Polda Metro Jaya. Tahaqu is an Android based Islamic application to help users who struggle to save for Sacrifice or Hajj or Umrah. Pocket Yasiin is simple yasiin apps. Ilmuwan Islam Hologram is an Augmented Reality Application with Holo Technology based on Android device. Android application for detect Baby disease. Udacity's project for Associate Android Developer Fast Track. Money saving app for tracking income and outcome. Android app for check Body Mass Index. 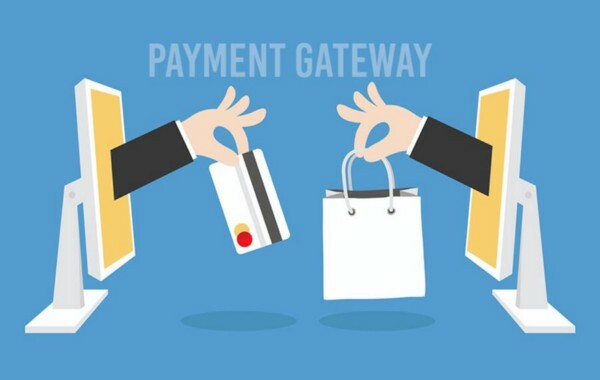 Midtrans, previously Veritrans, was established in 2012 with a mission to provide online businesses in Indonesia with a payment infrastructure that is safe, reliable, and fraud-free. In December 2017 Midtrans join GO-JEK GROUP after being acquired. PT. Deggan Technowave is a company that develop and maintain PT. Telekomunikasi Indonesia application as a vendor with main product is Wifi.id GO and some utility products. The main role in PT. Deggan Technowave was working on Mobile Android SDK, develop Android application and integrating with Machine via API. Beehapps is a small company as startup focused in Software Development. Beehapps want to become 1st software technology provider and ready to developing local MSMEs in Indonesia. As a Mobile Engineer Lead, the main task is for develop Android app, guide other Android Developer, and decide tech-stack for Mobile development. Integrated Lab or known as iLab is the largest laboratory in Gunadarma University. Assistant is an job that adapt to the student's schedule in college, so assistant is concurrent with college. The big task assistant do is become a part of CAT Committee in "2016 Polda Metro Jaya Computer Assisted Test in collaboration with Gunadarma University". Back in my first year at college, I was very bad in Java. I got the lower grade in Java class but my lecturer scorn me in front of my class, it was very embarrassed. But it give me some power to survive and revenge the Java lecturer with my highest grade at the end of Java class. After that, I'm start develop some application for freelance or for non-profit use. I work on Web Development with PHP as Back-End and just HTML-CSS for Front-End but I focuse on Android Development. Dec 2010 — Apr 2016 FYP-Kun Online! FYP-Kun Online! is online media serving japanese news and hobby. Back in the past, FYP-Kun Online! just share about news and hobby but it's make community for sharing and now FYP-Kun Online! transform into small community based on Facebook. When I was High School untill second year in my college, I work as an Operator in TanjungNet (Cilebut, Bogor). Tanjung Net is small internet cafe. Google launched the Associate Android Developer Certification in May 2016. Associate Android Developer Fast Track by Google is a program that will ideal for programmers with 1-2 years of Java experience. The program is designed to teach you exactly what you need to know to successfully pass the Associate Android Developer Certification Exam from Google, a key credential in the industry. 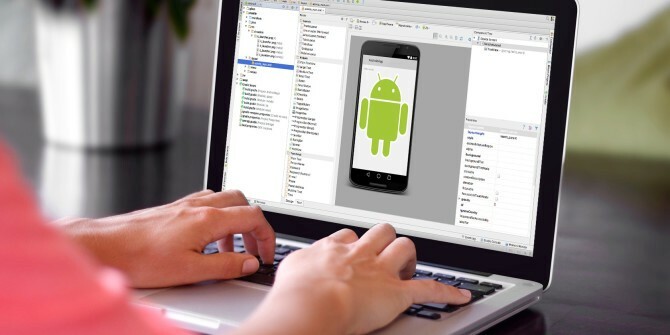 It's a great way to prove your Android Development skills and earn a certification directly from Google affirming those skills—a definitive step on the path to a job as an Android Developer. To have received one of these scholarships, you must be a current resident of Indonesia. Farhan was choosen with other student for this scholarship by Udacity. Founded in 1981, Universitas Gunadarma (Gunadarma University) is a non-profit private higher education institution located in the suburban setting of the large city of Depok (population range of 1,000,000-5,000,000 inhabitants), West Java. In campus life, Farhan always exploring about code inside and outside the college. Farhan study for 4 years in Gunadarma University with Undergraduate Thesis Title "Rancang Bangun Augmented Reality Hologram Pengenalan Ilmuwan Islam Berbasis Android". SMAN 6 Bogor is State High School in Bogor, West Java. Previously SMAN 6 Bogor is SPG Negeri Bogor but back in 1991 it become State High School. Farhan study Science Major for 3 years in SMAN 6 Bogor. Depok ICT Award or known as DEPICTA is Depok yearly event, in 2016 the topic is about Smart City. Our Team, Al Fatih 3 was elected in 1st place with our application "Parkir Yuk!". Karunia Ukhuwah Islamiyah or known as KURMA is UKM Fajrul Islam Gunadarma yearly event at Ramadhan. Out Team, Al Fatih 3 was elected in 1st place with our application "Tahaqu". Startup based on Cirebon City. Small studying and Islamic group. Greenpeace is a non-governmental environmental organization with offices in over 39 countries and with an international coordinating body in Amsterdam, the Netherlands. Greenpeace was founded by Irving Stowe and Dorothy Stowe, Canadian and US ex-pat environmental activists in 1971. Indonesia Android Kejar (IAK) is a program that initiated by Google Developers to support Indonesian Developers for developing mobile application through udacity online learning and offline meetings with the local community. Volunteering for 2 times (maybe 2 batch). 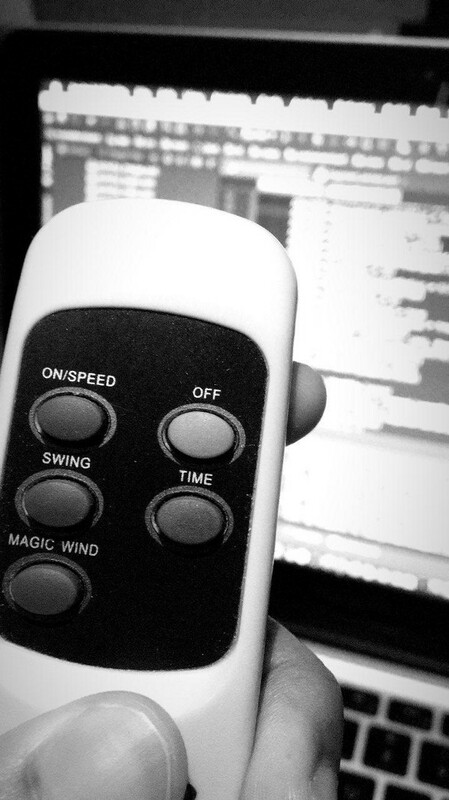 Kerja Remote atau Kerja ‘Kantoran’? Bikin Library Android? Mudah Kok! Jangan Lupa di Publish Ya! "Farhan memiliki kemauan yang tinggi untuk terus belajar menjadi lebih baik lagi, beberapa kali kami terlibat dalam sebuah proyek, Farhan selalu menghasilkan sebuah produk yang baik, mudah digunakan dan sesuai dengan harapan, dengan kemampuan Android yang sangat baik dan ditunjang dengan sikapnya yang baik, berkerjasama dengan Farhan menjadi menyenangkan." "Farhan merupakan sosok hebat yang saya kenal, pribadi yang santun, sabar, pekerja keras , dan selalu menyelesaikannya dengan hati dan pembelajaran yang terarah. Tentu saja dengan pola kerja yang dilakukannya membuat semua project yang kami kerjakan dapat menciptakan hasil yang terbaik." "Farhan is creative, hardworking, determined, and loyal person. He is highly skilled in android developing and has strong ability in java programming. What I like the most of Farhan is his dedication and capability to perform every and each very demanding task assigned at the highest standard. When I was commanding and supervising him as one of my field assistants, Farhan stands out as one of the best amongs 48 others." © 2018 Some right is reserved. Template by Hencework. Developed with ♥ by Pahlevi.